Northern Voices: Police Probe Rochdale Election Fraud Claim! THIS weekend, Greater Manchester Police have said that they are investigating a complaint of potential electoral fraud in Rochdale. The police received a report on the 24th, May that related to the local elections on the 3rd, May 2018. It is understood that a local candidate is being investigated. A police spokesman has told the BBC that a 51-year-old man had attended a voluntary interview and that inquires are still ongoing. 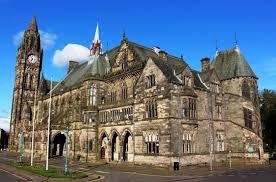 Northern Voices has been aware for some time of a number of allegations and complaints that have been circulating regarding the conduct of candidates in local elections in the Rochdale area.